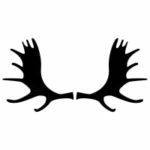 for the hunter looking for trophy moose. Alaska offers a variety of hunting opportunities. After that you might look Maine and Idaho. This is also another attractive state for moose hunting.